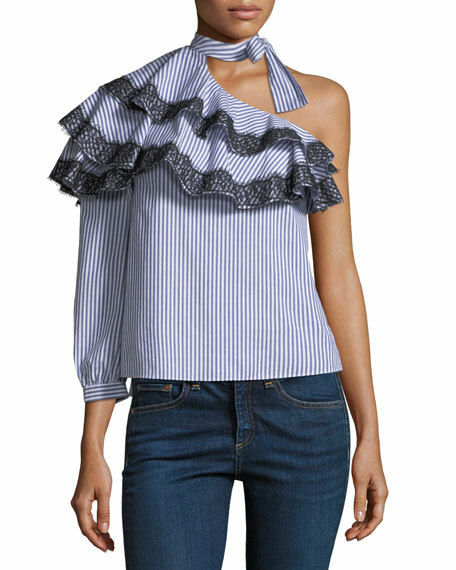 Veronica Beard "Isla" striped stretch-poplin blouse. 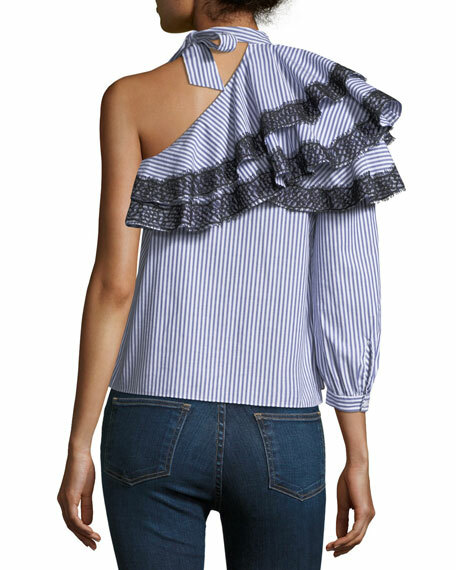 Asymmetric, one-shoulder neckline; tie-neck detail. 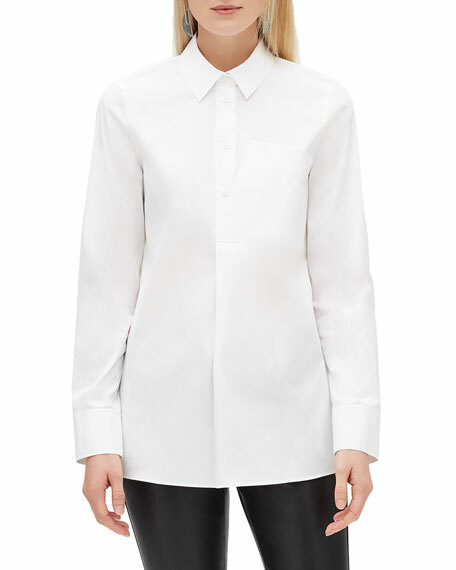 Three-quarter bishop sleeve; button cuff. For in-store inquiries, use sku #2423410. 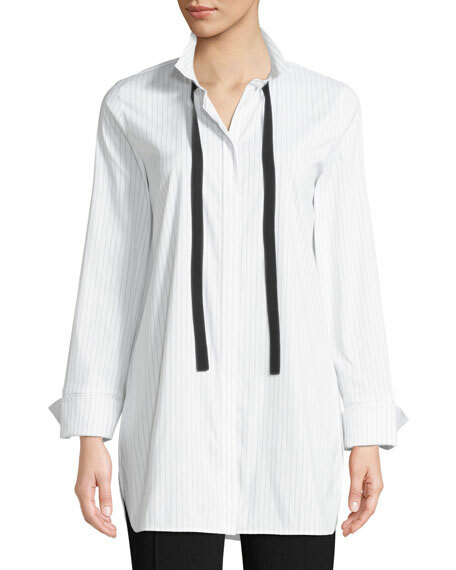 Lafayette 148 New York "Annaliese" blouse in stanford stripes with contrast neck-tie detail. 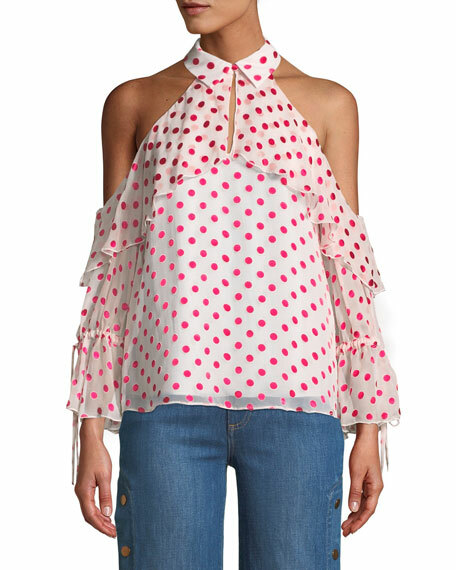 Collared neckline. 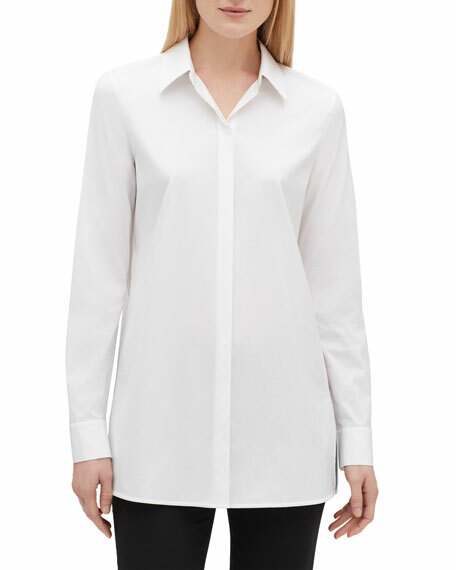 Button-down front. Long sleeves; button cuffs. Yoked back shoulders. Semi-fitted silhouette. Below-hip length. Side slits. Cotton/nylon/spandex. Viscose strands. Machine wash. Imported.